First Edition copyright © 1937; Second and Revised Edition copyright © 1975 by Theosophical University Press (print version also available). Electronic version ISBN 1-55700-090-5. All rights reserved. This edition may be downloaded for off-line viewing without charge. No part of this publication may be reproduced for commercial or other use in any form or by any means, electronic, mechanical, photocopying, recording, or otherwise, without permission of Theosophical University Press. For ease of searching, no diacritical marks appear in this electronic version of the text. Chapter 21: "Keep the Link Unbroken"
H. P. Blavatsky, 1875, Ithaca, N.Y.
"Time discovers truth," wrote Seneca as the Graeco-Roman influence, spiritual and political, was ebbing under the influx of the new cycle of thought taking hold. Who and what H. P. Blavatsky was and the purport of her teaching have been the earnest concern of thinkers and writers for a hundred years now, and while the public in general comprehends neither the fullness nor the majesty of her sacrifice, time is her advocate. To attempt to chronicle the life story of H.P.B. and of the Society she founded in 1875 demands a rare combination of qualities: perception of values, devotion to the theosophic ideals, a sense of history and, above all, an identification with the ageless purpose behind the sending of a messenger. For this is just what H.P.B. was, the sower of the messianic seed for the coming age (the Aquarian) and the restorer of confidence in the validity of the Way. Charles J. Ryan's H. P. Blavatsky and the Theosophical Movement makes no pretense to being a definitive biography of H. P. Blavatsky — much less of H.P.B. — or of the movement she inspired. Nonetheless, it is a product of exhaustive research into the early history and documents of the Society, hostile and friendly, so that the end result is a faithful portrait of the Founder and her life work. The narrative is disarming in its simplicity, but one soon becomes aware of the author's rich reserve of knowledge and grasp of essentials. Yet why reissue a book, however authentic, that was written back in 1937, now that fuller archival and biographic material is to hand? Data alone do not suffice. The history of any movement, especially one of spiritual origin, is best authored by a protagonist, by one who is convinced of the worthiness of his theme. Unless the writer himself has profoundly experienced the reality of its inner purpose, how can he render a verdict that will pass the test of time? Not only did Charles J. Ryan have the advantage of having been deeply committed since youth to the cause of human betterment, but he likewise lived close to the flame; he himself never met Madame Blavatsky, but he had as life-long friends and associates some of her pupils who carried with them until their death the atmosphere of their teacher's heroic dedication. A near eyewitness, and one who during the stormy years of the '90s staunchly defended the principles for which she had given her life, may have something to offer that later historians cannot so easily provide, however much they may benefit from the perspective of years. A native of Halifax, England, Charles James was born on August 31, 1865, to an English mother from Manchester and an Irish father, descended from the Ryans of Idrone, Tipperary. An artist by profession, he served as principal of the government School of Art in Ventnor, Isle of Wight, succeeding to the post after the death of his father, also an artist, with whom he exhibited at the Royal Academy in London. But C.J.R. was more than an artist and headmaster. A wide reader with an insatiable curiosity, there was no subject in astronomy, archaeology, philosophy or the arts to which he was a stranger. When rather suddenly he was called to California in 1900, to help with Katherine Tingley's new school just opened at the Point Loma theosophical headquarters, his colleagues were at a loss how to do honor to this quiet, self-effacing yet industrious gentleman who not only had exercised a power for good on the several institutions which he had served, but had touched each of their lives in a most intimate way. 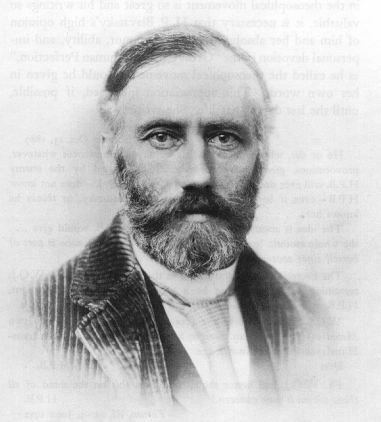 Professor Ryan had joined the theosophic scene several years earlier, in January 1894, when the Society was in the throes of controversy and divided loyalties. He himself had been reared in the rationalistic Free-thought atmosphere of the day when anything approaching dogma or authoritarianism in religious matters was suspect. His first exposure to theosophy, he tells us, was "somewhat unpromising," this being the spate of articles that appeared in the British press after H.P.B. 's death in 1891, most of them uncomplimentary, but he had been repelled by the prejudice and ignorance of the "self-styled judges" of the Society for Psychical Research. When later he read A. P. Sinnett's books, he "found his sincerity impressive"; he was not averse to believing there were great teachers who possessed "a more profound knowledge of spiritual and even physico-intellectual man than our modern psychologists, anatomists or theologians." Still, he held back, until one day he met a devoted pupil and friend of H.P.B., a member of the London headquarters staff. "I immediately joined the Theosophical Society — the wisest act of my life" — and helped found the Portsmouth Lodge. In the fateful division of the Parent Society in April 1895, he chose to support William Q. Judge — a decision that was personally painful to him, for it had been Annie Besant's conversion from rank materialism to theosophy that had strongly affected him. For fifty-five years, Charles J. Ryan gave unqualified devotion to Masters' work, and from 1900 until his death in Covina on December 24, 1949, contributed his remarkable literary and scientific talents to the theosophical world. The careful student will be grateful for the inclusion in this second and revised edition of precise references to quotations cited in the text where these were lacking, and for the correction and clarification of a considerable number of minor but significant points of fact. For these we are indebted, first to the author whose personal copy turned over by him to Arthur Conger in 1946 is marked throughout with his editorial changes, omissions and additions; second, to those who worked with me in preparing this edition; and third, to Kirby Van Mater, archivist, for his tireless labor in searching out obscure sources of historic data in the early letters, pamphlets, and original documents preserved in the Archives of the Theosophical Society (Pasadena) — sources which were not readily available to the author at the time of writing. Moreover, Professor Ryan had extended his chronological listing of developments up to 1946, but there seems no call to continue the record beyond that year, over and above the notation (in square brackets) of the sequential changes in administrative responsibility respectively of the two main branches of the movement. Also included are a new bibliography and enlarged index. Assuredly, the author has accomplished his objective: to give a concise outline of theosophic history and, more importantly, to present H. P. Blavatsky "in such a true light that the reader will see that it was impossible for such a being — the real H.P.B. — to be anything but genuine." Running through the record of the Theosophical Society from its inception to the present day is one unbroken line of underlying purpose to provide a rational solution for the great problems which face humanity. From the first the Society stated that its main object was to disseminate Ideas which would, if put into practice, change the hearts and minds of men to better and higher things. Theosophy, the philosophy of life that has come down the ages, can do this work of spiritual and intellectual alchemy by giving light by which the peoples of the earth can live as high-minded and large-hearted men and women. Theosophy can set a new current of thought in the world so that brotherhood in thought and act will bring peace on earth and heaven into our midst. This is no visionary dream, it is intensely practical, but we must begin upon ourselves, we must correct ourselves, we must live what we preach. No readjustments of conditions, however drastic, can ever permanently do away with our troubles; we must readjust ourselves and cease to identify ourselves with the material body — we must explore within and find what true living means. The Theosophical Movement had, and has, if it live true to its purposes and ideals, the backing of certain wise men of the East who possess the light and who are ever ready to help. But even they must abide the time when men are seeking for more light. 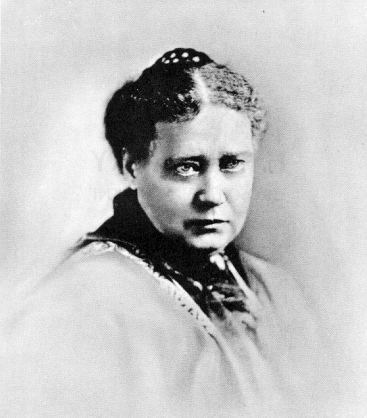 So in 1875 they sent their messenger, H. P. Blavatsky, that "strange woman" whose occasional unparliamentary language and outward uncouthness in manner were deliberately assumed to shock men out of their conventional judgments and to arouse their intuition. Strange indeed she was, but true as steel, and by far the best qualified then available to "break the molds of mind," and to sow the seeds which would germinate in the coming centuries. She began in America, with the simplest teaching about the ethereal forces behind the veil of matter, using the only convenient tool at hand, the well-known phenomena of spiritualism. She discountenanced mediumship, but proclaimed the existence of great Adepts in wisdom and trained knowledge of nature's hidden laws — Rosicrucians, as she called them among other names — and of the lofty possibilities of adeptship latent in every man, a startling concept in the Western world. To scholars she interpreted the deeper meaning of the traditional Qabbalah in its bearing upon the Christian scriptures, and showed that the Qabbalah, freed from its corruptions, contained the secret wisdom possessed by the true Rosicrucian or Theosophical societies in past ages under whatever name these societies were called. In her first book, Isis Unveiled, she touched on the so-called magical forces in nature and man, repudiated in the nineteenth century, and yet so perfectly natural to those who were spiritually qualified to use them wisely. 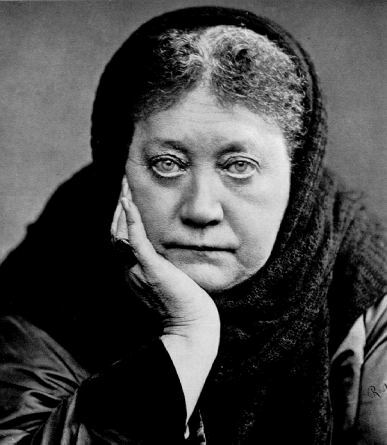 H. P. Blavatsky also indicated to a limited degree the other features of her later teachings, such as reincarnation, karma, the complex nature of man, and the cycles of evolution. Leaving the seeds of the Great Purpose to germinate in the West, she turned toward the Orient, one of the ancient fountains of inner knowledge still existing. Here she strove to arouse the "dreamy Aryans" to study and profit by the unique treasures of truth in their keeping, the wisdom which would not only reflect honor upon India in the critical eyes of the restless West but bring the whole world much needed help. 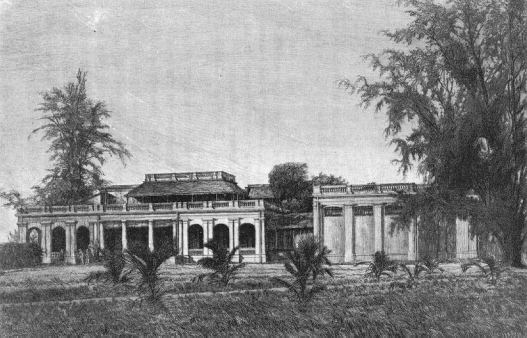 In spite of age-long and ingrained conservatism, proud Brahmans of high caste recognized the authenticity of the messenger and of her message, and joined hands with the theosophists. The underlying current of the original purpose having reached the Orient, its real birthplace, the messenger moved to Europe where she finished her masterpiece, The Secret Doctrine, and wrote other theosophical classics. Though an intellectual response came from matter-of-fact Europe, its almost complete failure to understand the "chela-spirit" of devotion was disappointing. Nevertheless, the lionhearted Blavatsky never gave up and, at last, against all odds, she aroused in "the few" a deeper comprehension of her mission. She was then able to take the first steps in the revival of the forgotten schools of the Mysteries, and at the opportune moment she produced a devotional gem from the Orient in an exquisite Western setting of her fashioning, The Voice of the Silence, a guide for students who aspire to tread the path of spiritual wisdom. When the time came for the teacher to depart, no crisis occurred, although the cynics vainly imagined that the Movement would perish forthwith. On the contrary, its influence has increased and widened steadily, in spite of external opposition and internal difficulties in some quarters. It is now the privilege as well as the duty of devoted theosophists to keep alive the torch she placed in their hands, but it can burn brightly only in an atmosphere of kindness, brotherhood, and magnanimity. If some reasonable cooperation is not established between the groups which claim to follow the precepts and the example of the founder of their movement, the progress of theosophy and the world's advancement on spiritual lines will be far more seriously delayed than by all the attacks of the detractors. 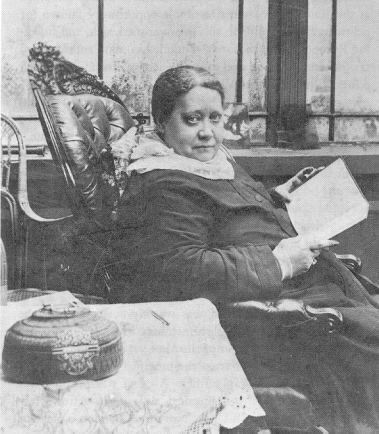 While assuredly the best way to understand the heart and mind of Helena P. Blavatsky is to study her writings, yet there is much of great value to learn from the story of her life of toil and renunciation, of self-sacrifice and voluntary martyrdom, for she was in essentials a lofty example of what she taught. So many attempts have been made by misguided persons to misrepresent her in the eyes of the ill-informed that a brief but authentic account in handy form of the chief incidents of her life, her ideals, and her methods, such as has not hitherto been available, may not be out of place at this time when recent attacks have aroused widespread attention to theosophy, and when world conditions demonstrate the crying need for its constructive ideas. 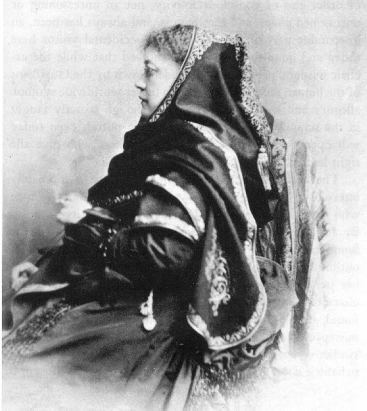 This book also presents an outline of the more striking landmarks in the historical background of the Theosophical Society during the lifetime of its chief founder, and touches more lightly upon some of the outstanding events that have occurred since her passing, especially in regard to the protective and sustaining efforts of her most trusted friend and disciple, William Q. Judge, to carry the work and teaching on in accordance with what H. P. Blavatsky called the "Original Plan of the Masters." The limited space at disposal has compelled the omission of much interesting matter, and the selection of the most important highlights has been no easy task. The administrative affairs of the Society, the establishment of lodges and national sections, the erection or purchase of buildings, the numerous conventions, and the details about the rise of theosophy into the "luminous zone" and its wide recognition by thinkers, while interesting to close students of theosophical history, can only be referred to in general terms. Even the numerous confirmations of H. P. Blavatsky's scientific teachings now being made, and her time-honored methods of training aspirants to chelaship, important as they are, demand far more room than can be spared for adequate treatment. 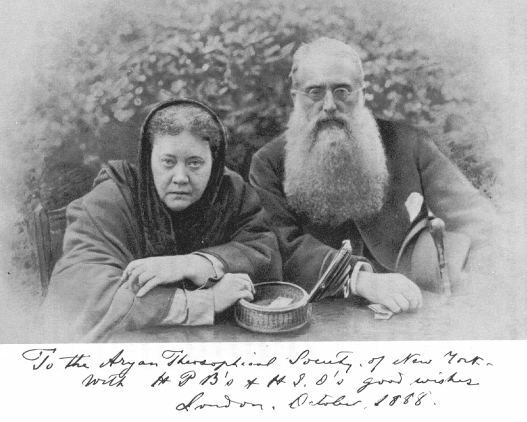 It is to be regretted that owing to lack of space it is impossible to do justice to, or even mention, most of the devoted Fellows of the Theosophical Society who have unselfishly given their time, money, and work to the Movement, often under very trying conditions, and at great personal sacrifice. If a small number of the more prominent were named the selection might be considered inadequate or ill-advised by some, and so only those persons who have a special relationship with H. P. Blavatsky or with important events in later history have been mentioned. While it is the duty and the privilege of theosophists to express their gratitude for the spiritual and intellectual illumination received from their teacher by defending her honor and exposing the falsity and hollowness of the foolish and malevolent charges from which she suffered, the aim of this volume is not controversial per se, though it contains information useful in her defense. The writer, who has never hesitated to break a lance with her critics when the opportunity offered, feels that a fair and dispassionate statement of the facts of her career and of the motives underlying her actions is sufficient to satisfy any unprejudiced mind that she was justified in her claim that she was sent by her Masters to bring the ancient wisdom, theosophy, once more to the world at a critical period in its history. To regard her as a charlatan is to reduce her life history to an incomprehensible jumble of absurdities. 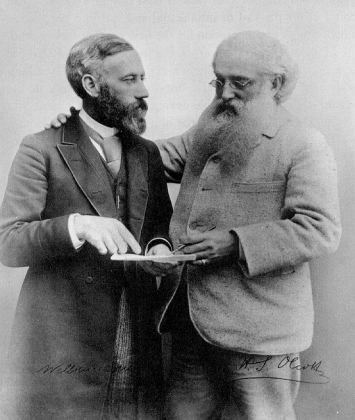 One or two controversial matters in regard to theosophical events about which there may still be differences of opinion have had to be discussed because they touch very closely on fundamentals, but they have been treated as impersonally as possible and we hope in such a way as not to give offense.